In today’s club music landscape, the concept of honesty is adrift and it’s far easier to find yourself interacting with shrouded personalities and several layers of irony than you are any creative or intellectual honesty. New York’s Rizzla, part of the Kunq collective and a longtime Fade to Mind representative, has always been an outspoken social media advocate, laying down prescient post-colonial and identity critiques when few others are willing to step up. Utilizing “Iron Cages” and “Twitch Queen”, two tracks from his Iron Cages EP (out now on F2M), the video below is the sort potent statement that few contemporary musicians are willing to make, a synthesis of footage from several dozen uprisings, both from news stations and handheld cameras. 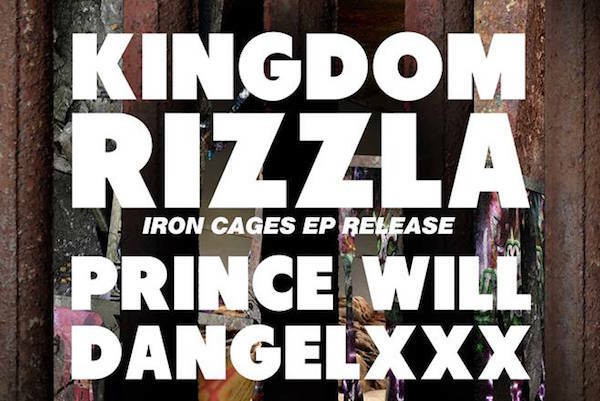 Tonight, Rizzla celebrates the EP release with Kingdom, Prince Will and Dangelxxx in Los Angeles, bringing his spastic, 140+ styles to the basement of the Belasco Theatre. And if you’ve never seen Rizzla or the F2M crew throw down, you know that this one will be special, both a celebration for the release of Iron Cages and another reason why the label still has so many biters.